When enable recording,can't stop unless record 3s.Please don't end the recording immediately after starting recording. When the revording ends,it will automatically query the current remaining storage capacity.If press Play key immediately,there may be no reaction.Please operate 1s later when the recording ends. It will neter the sleep mode to save power when there is no operations.There will be 3-4s dalayed to work wake from the sleep status.Please wait patiently.Don't repeat pressing keys. 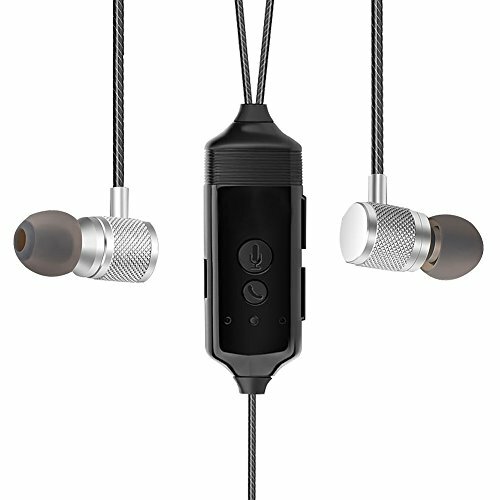 This products only supports the control function of ipnone4 and above version.Since the keys are multipurpose,when inserted into the phone,please don't let this product in the state of play,otherwise it will cause line control function invaild.At this time,please remove the earphone,and insert again,then this function can be normal. Afer finishing recording the call,please remove the earphone when you listen to the recording.Don't connect to the phone.Otherwise,that will cause the sound quality worse and volume decreasing. When recording volume is small,you can increase the volume on youe mobile phone. Both iPhone and Android cellphone can use this call recording earphone. Use earphone to record the call, need no software, voice recorder or jailbreak. Can play the recording, save the recording into the phone. Built in 512MB memory,recording duration up to 16 hours. Voice Activated Recorder Digital Audio Recording Device (Gunmetal) by JiGMO - 8GB/48 Hours Storage Capacity! Recharge While Recording! With 2 Lanyards and E-Book! Don't Miss Another Word!